UFO Found In Apollo 12 Photo On Earths Moon, March 2016, Video, UFO Sighting News. 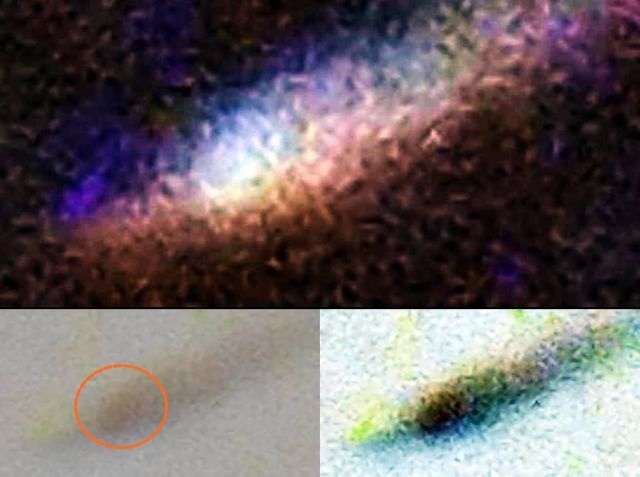 This UFO was found by Jason Hunter of Youtube and seems to resemble the TR3B, which is in the hands of the USAF and was made using alien tech and propulsion. I don't think this is USAF in this craft, but clearly it is a ship watching from a distance. 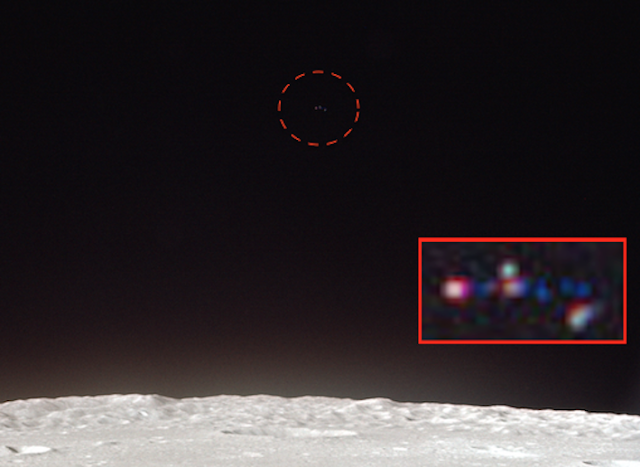 A UFO has been found in one of the many Project Apollo Photos. I am looking through them now to find any UFO's or anomalies. This is a wonderful archive and thank you to NASA for releasing. 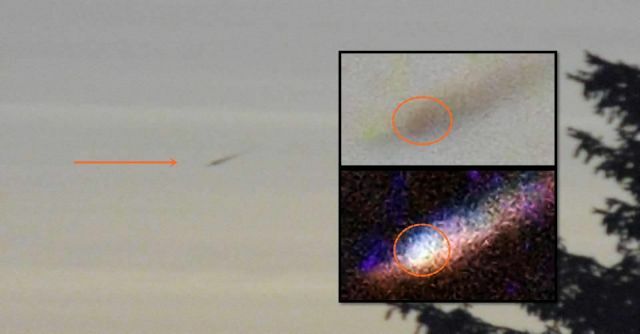 UFO Disappears into clouds - Ontario, Canada On Feb 21, 2016, Video, UFO Sighting News. In this video we see two disks made of light, that suddenly disappear as if someone hit a switch. Alien tech does that. It always works fast. These types of UFOs are frequently seen over Moscow, so its a bit of a surprise to hear about them in Canada. Very cool sighting. On February 21, 2016 at around 5:50 PM I witnessed 3 UFO's hovering outside. 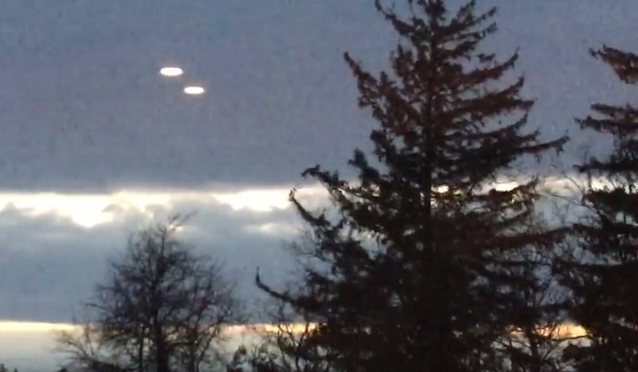 The sighting happen in Hamilton, Ontario, Canada it was a very cloudy day, and the sun was setting at the west. 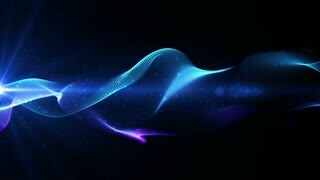 I was in my bedroom about to turn on my PlayStation 4 that is located along my bedroom wall next to a large modern window with the blinds pulled up, As I turned on my PS4 I looked outside to see 3 bright objects in the sky hovering beside each other in a strange formation. At first I thought I was looking at airplanes/helicopters with their headlights turned on but their was no movement, after a few seconds maybe 6-9 seconds one UFO at the very top started blinking randomly, few seconds later the middle UFO dissapered and reappeared in the same exact spot it was in, I called my mom over who was in the kitchen to show her and she did not know what it could be... After a few more seconds 2 UFO's started blinking but very slowly and stopped, the 3rd UFO is slightly hard to see in the video the 3rd UFO is almost like transparent slightly visible, So I pulled out my IPad Air 2 and started recording. 3 seconds into the recording and the UFO's started disappearing one by one. 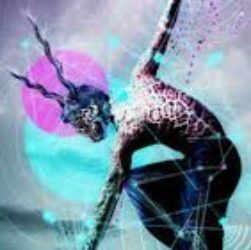 After the UFO's disappeared into the clouds (which is what it looked like) I looked into the sky all around me inside my bedroom window to notice anything unusual and everything looked normal like always. 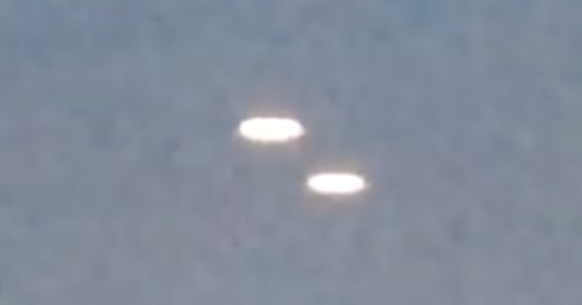 I went back to review the video and noticed a 4th UFO along the right side above the tall middle tree, that 4th UFO must have appeared and disappeared at the same time the last UFO on the left side disappeared. I did not see the 4th UFO when I was recording the other 3 UFO's on the left side disappear on my IPad screen. I have no idea how high and how far away the UFO's were, possibly hovering 2-5K feet high... The UFO's looked VERY large. I did not hear any strange noises or any aircraft engines, Cars were driving on the road so perhaps that is why. The color of the UFO's was a yellow/orange almost like car lights. Witness states: My wife and myself were in the basement of our house in Stensele, Sweden on December 27, 2015 when our youngest son cried out that he saw something strange in the sky. I had just bought a new camera and had placed the camera on a tripod in our bedroom. I zoomed in onto the object and took a number of pictures through an open window. The object entered from a great height, next the object is slowing down and changes direction from west to south. I have never seen an airplane dives into the 45 degree angle, slows down and changes direction in this way before. I judge the size of the object is much larger than a regular aircraft. I’ve sent the pictures to the UFO Sweden and they've had them for over two months, but not analyzed them yet, but the UFO Sweden contact told me is that there were no civilian, private or military aircraft in the area at the time of shooting. The images were assessed as extremely interesting the UFO Sweden contact said to me. 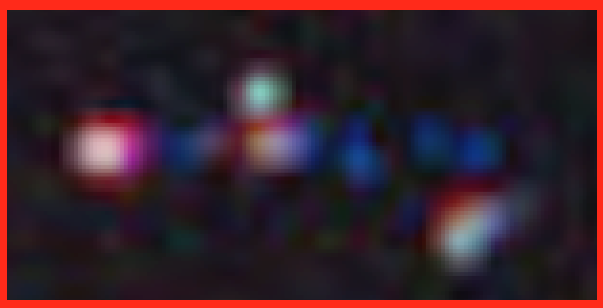 Two pictures (out of five pictures) show the direction in which the object appeared and disappeared. Five people witnessed the event and I can say without hesitation this object is definitely not an airplane. Mufon case 75104. 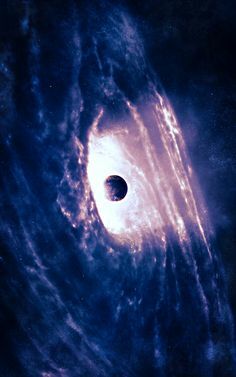 Image of the Sphere: Enlarged/Enhanced. ASTONISHING dashcam footage shows FIVE mystery aircraft circling the sky over Edinburgh. 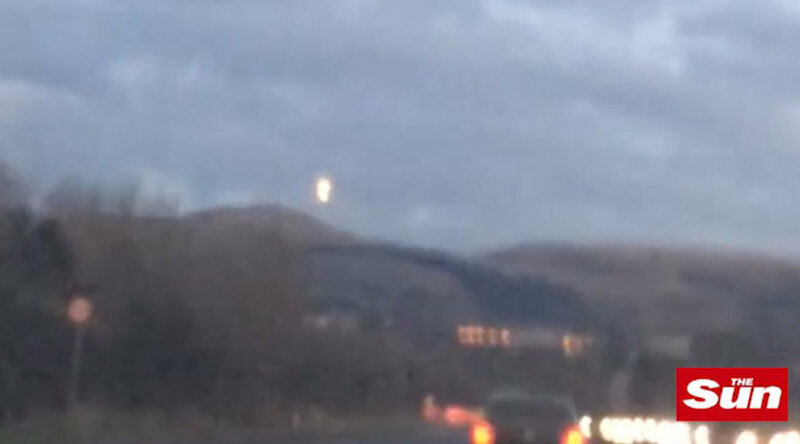 The extraordinary video shows UFOs flying along the M8 motorway as stunned drivers gaze up in awe. The mysterious lights were captured on film hovering above Hermiston Gait roundabout was captured by motorist Lee Frame on Wednesday night. The unexplained sighting comes just two weeks after the skies above Scotland were lit up by a meteor shower. Shocked Lee, 32, said the lights circled the road before disappearing into the night. He told the Sun: "I was just completely taken aback, the road was quite busy so I think lots of other people must have seen it too. "I don't know what it was but it was definitely not a plane. 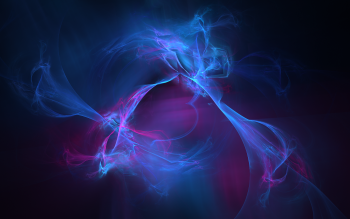 "The lights did not seem to be moving- they just seemed to be sat in the sky. I think it could have been a UFO. "I just could not believe what I was seeing." Boffins have said the huge flash was caused by an exploding meteor which left a blazing trail across the night sky, with eyewitnesses reported hearing terrifying rumbling noises. Cops in Aberdeen and Inverness confirmed they received calls from concerned members of the public.